Flyer art "Galactic Mantra" by Eos Otherre. Video mapping by VJ Infante (Lisérgica 25). Deco by "deco arttitude", "Gadélica crew", and more to be announced! 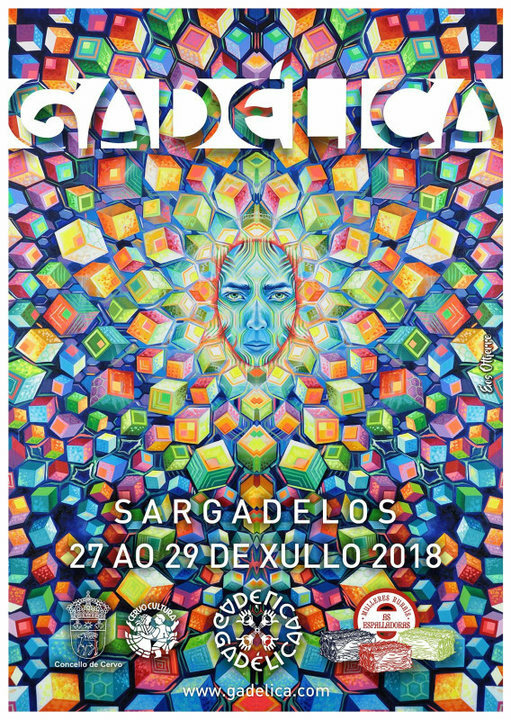 GADÉLICA is a vanguardist interdisciplinary art and culture meeting. This year hits its third edition. We are planning enhances, as always, but the deploy essence, and the fest concept, stay similar to previous years. Of course music is our passion so, at the moment, keep with the name of our music areas: MAIN FLOOR and DELOS GARDEN. Access for people is FREE, as on previous editions. We are thinking about a tax fee for parking (tax by vehicle) to avoid abuse of the environment. More info coming soon. Asociación de Mulleres Rurais "As Espalladoras"